I trust you are having a good start to the year. 3 weeks have gone already... unbelievable. It's time to stop worrying about other people's opinions and judgments. Are you ready to step up to make them happen? 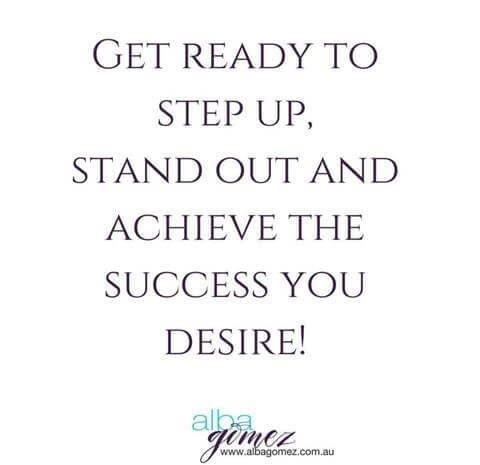 Are you ready to stand out and be seen? Onto the Outfit of the Week for this week. A question I get asked a lot is about casual wear. Most of us feel comfortable with the corporate wardrobe (or at least it feels under control), but the weekends bring the biggest challenge. The reason for this, is because the weekend is actually the time you get to dress for you and express yourself. And as we tend to be disconnected from our our style, the question arises: How do I do casual? I am a dressy dresser - generally speaking, but there is also a more casual style I like. In this photo I was in Spain and it was a hot day. Jeans were out of the question and I was tired of wearing shorts. I am glad I took this super comfy and fresh pair of pants. I absolutely loved the pattern and colour when I saw them, but I must admit it took me a while to wear them for the first time. As the pattern is busy and not ideal because it can make my bottom half look bigger - already heavier than my top, I used a black top - one of the colours of the pattern and added some accessories to bring the attention back to the top. I recommend you consider what type of clothing you enjoy wearing the most on your weekends, is it jeans, shorts, skirts, dresses, pants? Do you have enough of them in your wardrobe? If not, put them on your clothing shopping list. What you wear tells a story about you, make sure it is authentic and unique like you are! Make this week an amazing one!